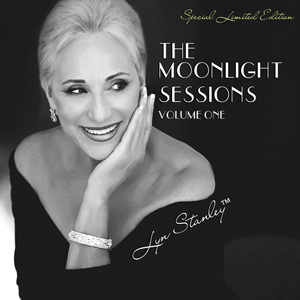 Lyn Stanley’s Moonlight Sessions project ventures into new musical territory with her creative approach to American music. This time, she borrows from the classical composers–Chopin, Beethoven, Debussy, Mozart, and Ravel to breathe a new excitement into a few jazz standards like you’ve never heard them before. This is a two-part series released as Volume One with Volume Two to follow. The recording engineers for this project are Al Schmitt and Steve Genewick. Tracks were recorded at The Village Recording Studio D in Los Angeles, California in February 2017. 8. Why Don't You Do Right? SupersonicVinyl™ is a superior quality vinyl record utilizing advanced recording techniques captured with analog mixed and mastered quality tape-recorded and mastered by award-winning engineers in state-of the art studios. Then they hire One-Step experienced 'audiophile quality' pressing plants to create what is believed to be "simply the best recordings' available today.